Unpaginated. Black and white. Blue Lettering. 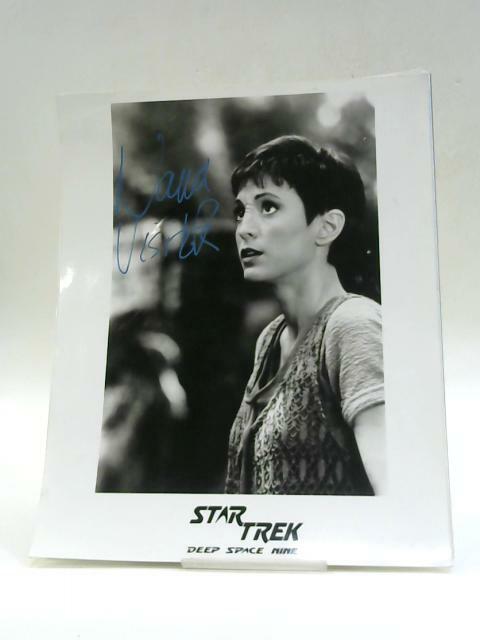 Signed photo of Nina Visitor from Deep Space Nine. Slight marks and creases along edge. Corners slightly dog eared.